In today’s economy, as morale is lowered crime levels rise. Many businesses, especially with high value office equipment, become an easy target for criminals due to the lack of investment in proper site surveillance. Many times, a simple installation of a camera internally and/or externally may deter and aid in discouraging such acts. Assigning a designated person to monitor the video surveillance feed reinforces the effectiveness when attempting to prevent crimes. Auspro security is an innovative industry leading force in the state-of-the-art custom-design and installation of Digital Video Recorders (DVRs). At Auspro security we provide our clients with comprehensive solutions and fill in the industry’s void between inexpensive low-end CCTV systems and expensive high-end CCTV systems. 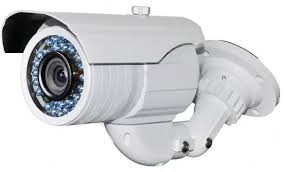 Auspro security provides and installs high-end custom-built DVR systems and a large selection of covert and exposed digital cameras for a variety of applications from private residences to banks, casinos, airports, multi level residential and commercial buildings installations – all at very affordable prices. Auspro security also provides 24 Hr. monitoring, maintenance, service and support contracts for new and existing systems. With Auspro security systems you will be able to view live video, search previously recorded video and backup for later review. Our Security Camera Systems with 4, 8, 16, or 32 security cameras will record using motion detection technology onto an internal hard drive. It exceeds the capabilities of old time-lapse VCR’s, multiplexors and analogue switchers.